Tag Archives for " Tax Basis "
What is the most efficient way to issue financial statements? Tax basis financial statements without disclosure, using the Preparation of Financial Statements option (Section 70 of SSARS 21). This answer assumes you are preparing financial statements in conjunction with a tax return and that those financial statements are issued separately—apart from the tax return—to your client. Which Special Purpose Reporting Framework Should I Use? You’ve been contacted by your client to prepare their financial statements and issue a compilation report. At first, you think, “I’ll create the financials in accordance with GAAP,” but then you remember there are special purpose reporting framework options. Maybe the cash basis or tax basis is better for your client. Let’s begin our exploration of special purpose reporting frameworks by examining the simplest basis: the cash basis. Notice there are no accruals and no balance sheet. When the company spends and receives cash, the transaction is recorded; otherwise, there is no entry. So who might benefit from the pure cash basis? The cash basis might be useful for a small nonprofit, a trust, or a student activity fund. If the cash basis is not an appropriate solution, then consider another special purpose reporting framework: the modified cash basis. Using the modified cash basis, you can present a balance sheet, an income statement, and a cash flow statement. 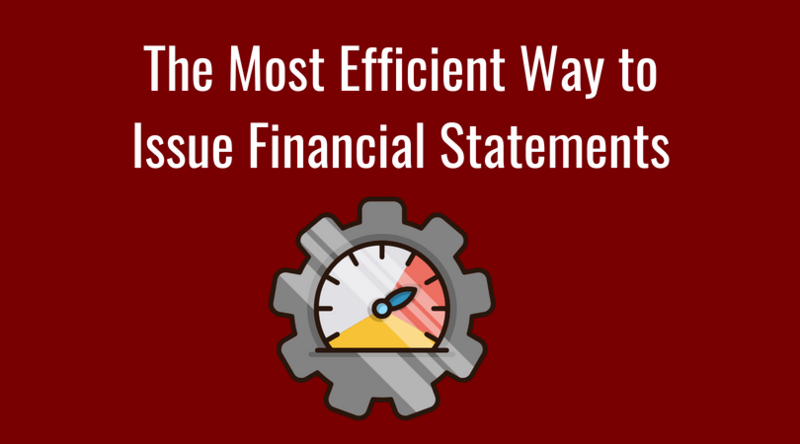 It is, however, permissible to create just one statement–such as the income statement–and issue a compilation report. If you present a balance sheet and an income statement, the cash flow statement is optional. What Modifications to Cash are Permissible? SSARS 21 defines cash basis as a basis of accounting that the entity uses to record cash receipts and disbursements and modifications of the cash basis having substantial support (for example, recording depreciation on fixed assets). So we see that modifications to the cash basis are permissible under SSARS 21. A modification to the cash basis is considered to have substantial support if it is equivalent to GAAP and is not illogical. What is an example of an illogical modification? The balance sheet includes accrued receivables but no payables are recorded. If such a presentation were allowed, the company’s financial health would appear stronger than it is. Since cash is a part of the entry, it is okay to record the loan on the balance sheet using the modified cash basis. We do not record the payables on the balance sheet. Why? Because cash is not a part of the entry. So when a company pays cash for inventory or plant, property, and equipment, then those assets can be reflected on the balance sheet. (Also, plant, property, and equipment can be depreciated.) The same is true when the company obtains a loan–cash is received, so the debt can be recorded on the balance sheet. The modifications of the cash basis are not defined in auditing or SSARS guidance. In other words, there is judgment in selecting the modifications. Does this make you uneasy? Is the modified cash basis too ill-defined for you? If yes, you may find the tax basis of accounting a better option. What financial statements can be presented using the tax basis? You can present just one financial statement (e.g., balance sheet), or you can present the balance sheet (referred to as the statement of assets, liabilities, and equity-tax basis) and the income statement–with or without the cash flow statement. As we have seen in an earlier post, if you prepare a tax return for a client, then tax basis is the most efficient way to deliver financials. While both publications provide sample financial statements, the Thomson Reuters guide has several sample statements and checklists.